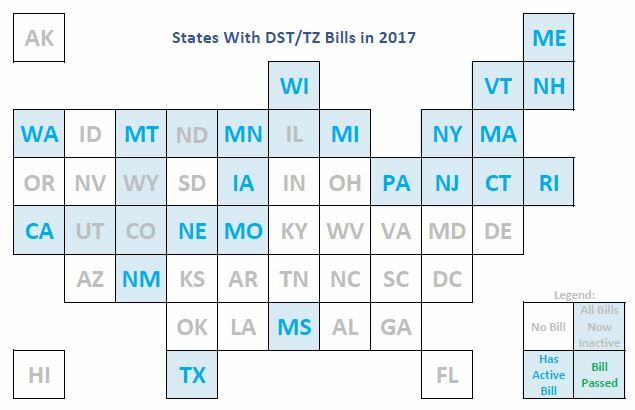 The bill from Nebraska is a simple bill to abolish DST in the state starting in 2018. I like these straightforward bills that take action — action that is permitted by the current framework of 15 USC 260. Bravo, Nebraska! 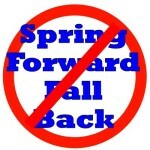 The bill from Illinois proposes to go to Year Round Daylight Saving Time effective July 1 of this year. After going on DST in March with everyone else, they’d just stay on it, in defiance of the federal statute. They propose to start off with the phrase “Notwithstanding how time is advanced pursuant to the federal Uniform Time Act of 1966, 15 U.S.C. 260a “. In simple terms, what this says is, “we intend to ignore the US Code that mandates how Daylight Saving Time is observed, and we’ll just do what we want.” There are some areas of government where I’ll support a “state’s rights” approach, but as you know if you’ve been reading Time Zone Report, this is not one of them. Boo, Illinois! I love year round DST. I hope Wisconsin follows suit because it has impacts on tourism.